If you have been following my blog for some time now then you already know Nokia has promised muttiple times to provide at least 2 major update for all of its smartphones, both the low end and high-end. The company also promised to push out the latest android 8 Oreo update to it's devices before the end of this year. Now, Nokia has already started living up to their promises as HMD Global's Chief Product Officer Juho Sarvikas confirmed in a tweet that the Android 8 Oreo update has already started rolling out to Nokia 8 devices. "The company took user feedback under heavy consideration, everything has been “polished” and the update is rolling out today. 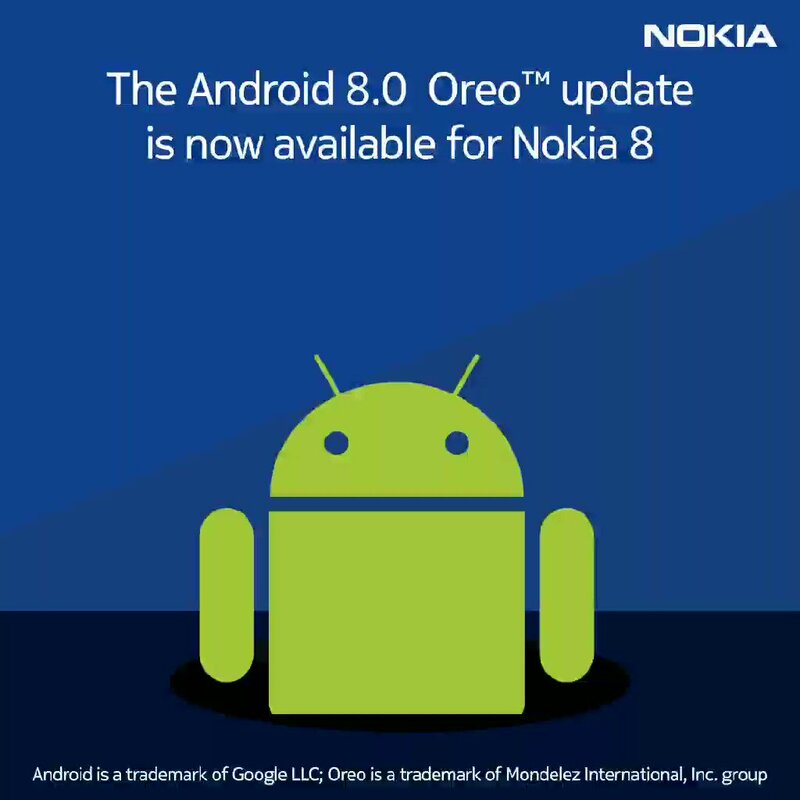 Note that the current android 8 Oreo update being pushed out is just for Nokia 8 users, there is no official date as to when other HMD's Nokia phones will receive the update.